Steam sales sure beat any discounts you get at your local Tesco. 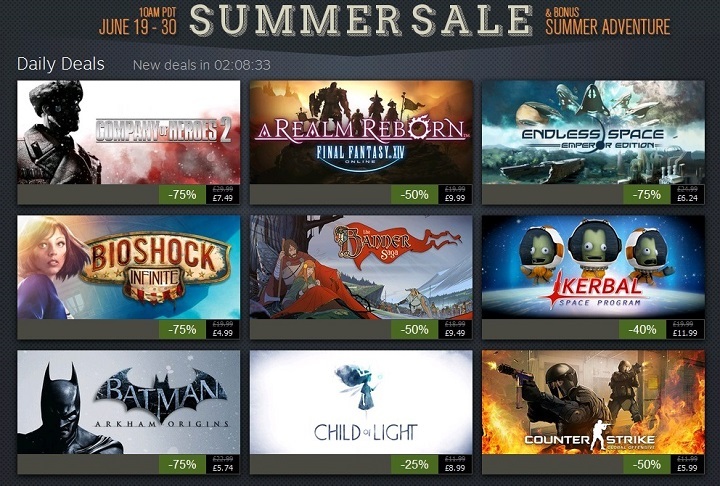 Discounts of 75 % are the norm during the big summer and winter sales. Steam sure gives the word “sale” new meaning. But then if you have to wait until the game is going for the price of a beer, does it tickle you fancy or is it just an impulse buy? Wouldn’t it be more reasonable to get the games you really want at full price rather than a bunch of discounted titles that you’ll only play a bit or never at all? As great as video games are, there are other things in life such as reading a good book and relaxing… but you’ll be back to your video games in no time, that’s for sure.